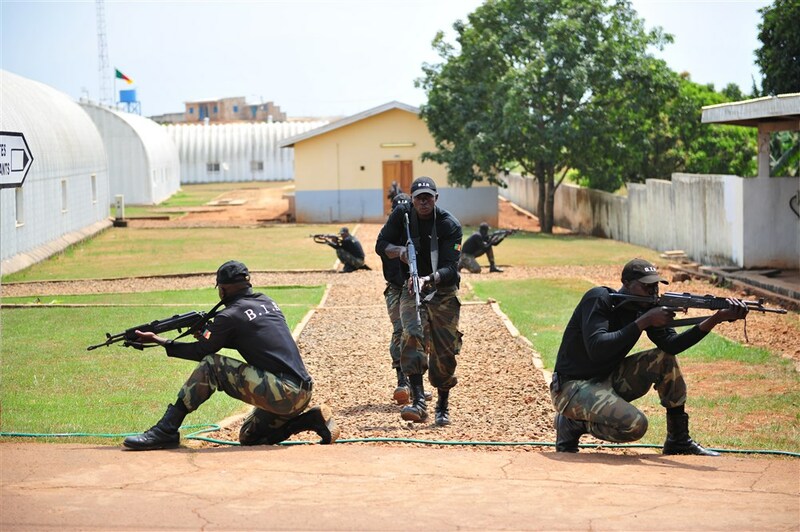 Cameroonian Special Forces during training. Can they defeat Boko Haram? Image released in the Public Domain by U.S. Africa Command. Cameroonian President Paul Biya promises “total war” against Boko Haram, the Islamist sect that has terrorized Nigeria and now threatens Cameroon. Biya made the announcement before West African leaders at a security summit in Paris last May. After the conference, Cameroon deployed about 1,000 soldiers to the country's north, including elements of the Battalion d'Intervention Rapide (B.I.R. ), the country’s rapid intervention force. Initially, Cameroon seemed to be winning winning the war against Boko Haram, killing or capturing its militants and destroying the group's bases. In recent weeks, however, the tide has turned. The number of Boko Haram's cross-border raids into Cameroon is rising again, bringing up the death toll with it. In July alone, the group launched major attacks on northern towns such as Fokotol, Amchide, Niakari, Zina, Bonderi, Bargaram, and Limani. Growing alarm at Boko Haram’s cross-border attacks reached its apex on Sunday, July 27, 2014, when it launched its most brazen attack yet on Cameroonian soil. Over 100 heavily armed assailants attacked the border town of Kolofata, targeting the home of Cameroon’s powerful Vice Prime Minister, Ahmadou Ali, killing family members and kidnapping his wife. The Sultan of Kolofata was also kidnapped, along with his wife and children. Ali himself was not among the dead or kidnapped because he was delayed on his way to Kolofata, where he planned to celebrate the end of Ramadan with his family. According to a French-language article in the bilingual government daily Cameroon Tribune, the assailants killed 14 people, took 17 hostages, and seized numerous vehicles during the attack. Boko Haram's ability to strike at the heart of Cameroon’s ruling establishment — a feat the group hasn't yet achieved in Nigeria — has shocked Cameroonians, casting a shadow over the government's recent claims that it is winning the war. The incident also raises questions about the effectiveness of Cameroon’s security and intelligence apparatus. The problem is we are fighting and asymmetric battle. Nobody knows who is Boko Haram, they have very much infiltrated here and there [and] it is impossible to know when they will attack. The government is going to take any measures to review our strategy and to find the right and best answer to tackle and curb this situation. Despite the government's attempts to reassure the public, reactions on social media, where the attack was literally broadcast in real time, have been mostly despair and indignation at what is perceived to be the state's growing inability to match its triumphalist rhetoric with concrete actions. Where are the grandiose Paris declarations? Even the famous right of pursuit [beyond a country’s borders] has remained a mere declaration of intent. On se fiche de Ahmadou Ali! Ya des civils tués et enlevés tous les jours par ces bandits de Boko Haram! c'est ça le vrai problème! We don’t care about Ahmadou Ali! Ordinary citizens are kidnapped everyday by these Boko Haram bandits. That is the real problem. D’où vient-il que connaissant la situation qui prévaut une personnalité de la trempe de Amadou Ali décide d’aller passer les fêtes du Ramadan dans une région dont la situation sécuritaire est au ROUGE comme Kolofata. Ou il est totalement inconscient ou c’est une histoire prémédité et monté de toute pièce dont lui seul connait les retombées. Avec ses hommes politiques tout est possible. How come a senior government official of Ahmadou Ali’s caliber decides to celebrate the feast of Ramadan in Kolofata, knowing full well the dreadful security situation in the region? Either he is totally reckless or he planned the whole thing from the start for reasons that he alone knows. Anything is possible with politicians. This was not a spontaneous attack at all; and the assailants were particularly well informed from within to know when Ali, who was the target, would be visiting Kolofata. Vous croyez vraiment que c'est #BH qui a enlevé la femme du Vice PM? Ce qui se passe au Nord du Cameroun finira par se savoir! Do you really believe that the Vice Prime Minister’s wife was kidnapped by Boko Haram? We will eventually find out what is going on in Northern Cameroon. The French language news website, Cameroon Voice, goes even further, claiming that the attack may have been a ransom deal gone bad. According to the site, the attack may be the work of those who kidnapped the Moulin-Fournier family, in retaliation for an unpaid ransom. The reputable newspaper, L'Oeil du Sahel, tells a different story, however. According to that publication, Boko Haram targeted Ali because of his successful campaign to stave off the sect’s recruitment efforts within his Kanuri ethnic group. The paper says the group was also responding to dozens of recent arrests of Boko Haram militants, captured thanks to Ali’s network of informants.
.@jeanfrancis tara, c'est aussi la preuve que le renseignement ne marche pas. Il telle attaque ne peut être improvisée vue les cibles. This attack is proof that intelligence gathering is not working. Such an attack could not have been spontaneous given the caliber of the targets. The Government seems to share this view; barely two days after the Kolofata attack, President Biya fired two high-ranking military officials responsible for security in the region. The government has also increased threefold the number of troops on the Nigerian border.